← Strange White Mass Captured on Security Camera. Description: The photographs were taken on November 8, 2014 at 9:37 PM between Wolf Creek, MT and Lincoln, MT. The size in the distance was about the size of a quarter. The objects approached at a closer distance and were about the size of a dollar before leaving. This is a few of the images that I captured. For myself when seeing this things I feel all life in one way are all connected. Because without that life at the beginning I feel none of us would be here now. Have a good day. Enjoy them all because at any second it can be gone. Note: The photos above show a variety of shapes. I don’t have an explanation for the content of these photos. The lights are actually more of a “shape changing” mass. There is no evidence of a hoax. The area where the photos were taken is quite remote. This entry was posted in Formation of Lights, Photos, Strange Shaped, UFO Sightings 2014, UFO Sightings Montana, Unidentified and tagged Multicolored, Shape changing. Bookmark the permalink. 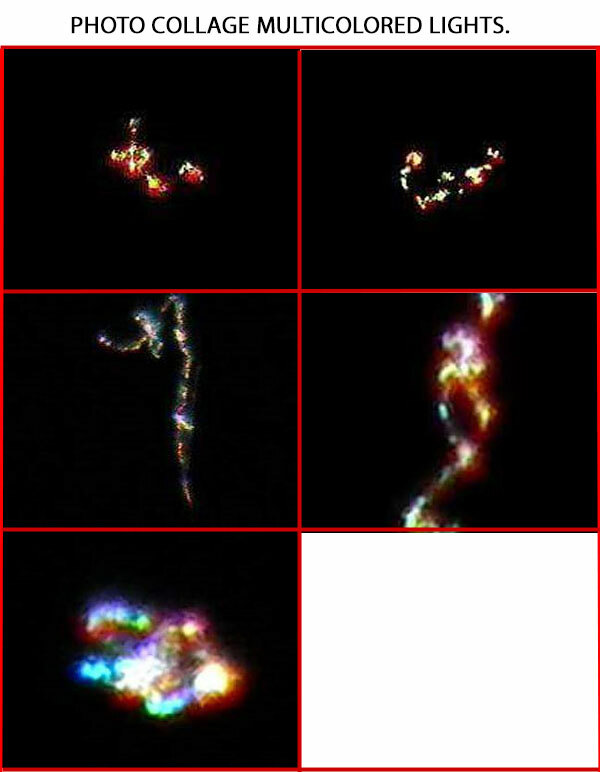 2 Responses to Multicolored Lights in Various Formations Photographed. This is a nice night time capture. The one on the bottom left looks like a sphere cluster with possibly a chrome surface for the multicolored plasma to reflect off of. All are strange looking shapes. This is the best I’ve seen in awhile. Yes, I agree. I don’t have an explanation for these photos. These photos were taken in a very remote area.